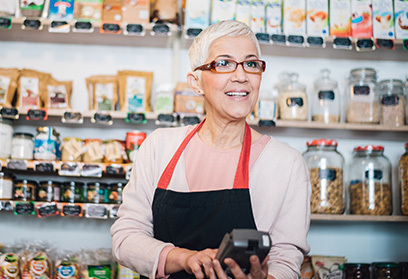 When it comes to helping you achieve financial success on your own terms, Civic means business! 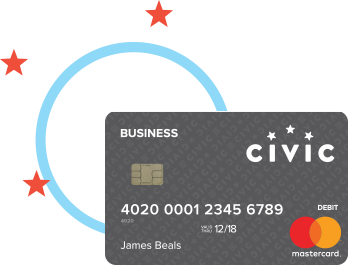 With generous deposit rates, a cash-back Mastercard program, no account fees and affordable business loans, Civic offers products and services designed to help you mind your business. Access your accounts confidently and conveniently. * Fees applicable to any ATM network in the United States and its territories will be charged to member account and then refunded to the same account by Civic within one business day. Rebated funds will be available for use following the credit union’s nightly batch processing. † Civic provides eStatements at no cost to account holders. Paper statements are available for a fee of $5 per month. ‡ 24/7 identity theft and fraud protection is provided through Mastercard for Civic debit and credit cards. The service does not apply to checks or ACH transactions. To contact Mastercard directly, call 1.800.627.8372. Open your account with just $20. * Overdraft Transfer Service is available from savings or Money Market accounts with no minimum increments or transfer fees. 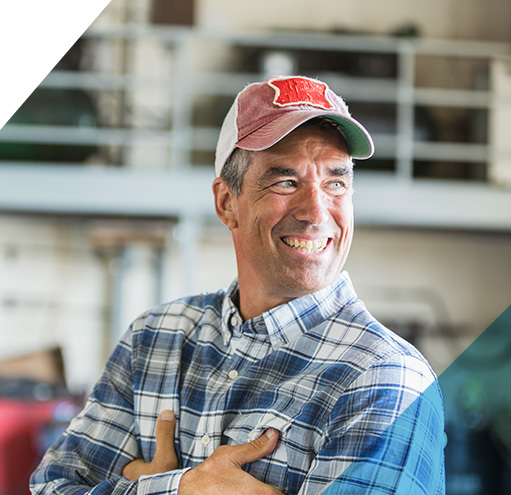 Members may also apply for an overdraft line of credit from which transfers are made in increments of $50 up to available limits. Transfers are restricted to no more than six per month. Repeated excess transfers may cause the loss of overdraft privileges. Rates done right - choose your term and what you earn. * Minimum opening deposit is $500. Share term certificates are fixed-rate accounts. Dividends are compounded daily and paid monthly. Dividends may be disbursed at maturity monthly or rolled back into the certificate account. Funds may be used as collateral for lending. Rates for new STCs are subject to change daily at the discretion of the Board of Directors. Generous dividends help your money make money. * Minimum opening balance is $500. APY of 1.00% is paid on balances of $500 or above. For balances that fall below the minimum balance requirement, the APY is 0.00%. Dividends are paid monthly. This account is subject to Regulation D, which limits certain transactions to six per month. Funds in this account maybe used as overdraft transfer coverage of Civic Business Checking Accounts. † Overdraft Transfer Service is available from savings or Money Market accounts with no minimum increments or transfer fees. Members may also apply for an overdraft line of credit from which transfers are made in increments of $50 up to available limits. Tranfers are restricted to no more than six per month. Repeated excess transfers may cause the loss of overdraft privileges. Your place of business meets Civic financing. We’ll help you keep your business rolling. Every business needs a fine line. All the benefits and none of the hassle. 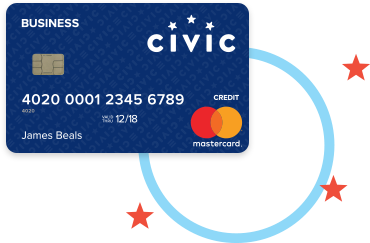 The Civic Mastercard has low rates, no annual fees, and can be used everywhere Mastercard is accepted. * Subject to approval. Rates and credit limit are evaluated based on member’s credit history; rates are subject to change. Credit card may be secured with Civic Savings Account funds. 24/7 identity theft and fraud protection for card is provided through Mastercard; to contact Mastercard directly, call 1.800.627.8372. † 24/7 identity theft and fraud protection is provided through Mastercard for Civic debit and credit cards. The service does not apply to checks or ACH transactions. To contact Mastercard directly, call 1.800.627.8372.